You love your firearms. They give you peace of mind, they might give you a sense of pride and they may even get you amped for your next competition or trip to the range. But they also give you a sense of safety. How do responsible gun-owners keep their firearms safe and secure when stored? You have several options depending on your need, your budget, your firearm of choice and your family situation. 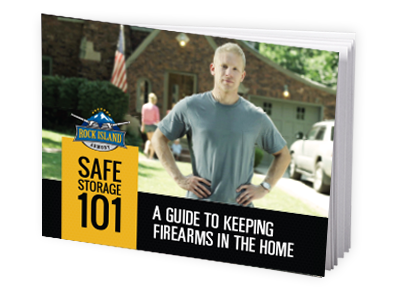 If you need some sound storage advice, complete the form to download the free "Guide to Keeping Firearms in the Home." © 2015 Armscor International, Inc.